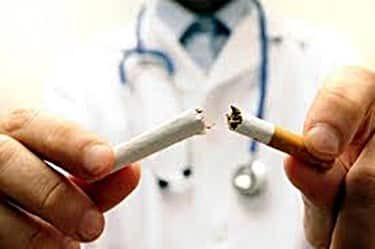 No one ever tells you that your body can have some nasty short-term reactions when you quit smoking, besides the more obvious withdrawal symptoms. If you’re experiencing dry scalp after quitting smoking, it’s a normal part of the recovery process. Smoking can have some unpleasant side effects on the skin and scalp. These issues become more apparent, at least initially, after you’ve given up smoking cigarettes. Cigarettes contain many substances that can cause issues with the skin, scalp, and hair during the time that they are smoking. Unfortunately, these negatives intensify after you quit. Smoking causes premature aging and infections. It causes oxidative stress in the body which is the cause of secondary illness. Some people may find that they lose hair after they stop smoking, which is one of the consequences. You’ll notice itchiness, dryness, itchy bumps, and more. The body is trying to recover from years of toxic damage from tobacco products. There are also going to be some upheavals with testosterone and hormones. Be patient as the body adjusts and blood flow to the outer layers of the skin improves. Is Vaping Better for the Scalp Than Smoking Cigarettes? Constricts the blood vessels and the supply of oxygen to the scalp. Interferes with hormones and testosterone. When you first quit smoking the body will react to the removal of nicotine. Within 12 hours you will feel the effects of the nicotine poisoning. The symptoms of withdrawal will be at their highest level within 2 to 3 days. According to addictionandrecovery.org, irritability and low energy levels are common side effects. Water helps the kidneys to release toxins, so drink 6 – 8 glasses a day. Get plenty of nutrients. Your body needs to replenish lost mineral and vitamins. Rest when possible so that your body can heal and repair itself more quickly. It can take up to 3 months to be completely free of the effects of smoking. This can seem like an eternity, but everyone has to go through the same recovery process. You’ll start to feel a bit better each day, so keep doing all of the right things to keep a dry scalp healthy. Vaping is a popular alternative to smoking. The liquid from vaping is a combination of nicotine, glycerin, and propylene glycol. This found in antifreeze. There are complaints of male hair loss and dry scalp since people started to vape., but this could just be one the symptoms of stopping smoking. It is not known if the electric vape cartridge or liquid is responsible for an itchy scalp. Vapes are not tested for safety by the FDA. Male pattern baldness and excess hair loss. Lithium batteries may be responsible for hair loss. Constantly feeling dehydrated even after drinking water. Hydration and nourishment are vital to healing the skin, scalp, and hair. When you quit smoking, your body’s pH level changes as it removes toxins and starts to heal. You may be drinking plenty of water, but your scalp will likely remain dry. An all-natural shampoo, such as Christina Moss Naturals organic shampoo, will help to gently clear the debris from under your scalp, while at the same time, putting hydrating natural oils back into it. Take a look the customer reviews on Amazon.com to find out how well it’s working for others in your positions. Essential oils are all-natural, and they have certain healing properties. They are anti-inflammatory, antibacterial, antifungal, and they all have hydrating properties. They soak into your skin to clear the pores, allowing your own scalp’s oils to resurface gradually. When you have dry scalp and dry hair after quitting smoking, it is for the same reason. If the pores of your scalp are clogged, the shafts of your hair aren’t getting the nourishment that they need, either. When the toxins and debris are gone, your body’s natural oils will return. After giving up smoking, your hair may start to get thinner. If you use Christina Moss Naturals organic shampoo, that won’t happen, because you are restoring the proper pH balance back into your scalp. Your hair will have the nourishment that it needs to become healthy again. Well done for quitting smoking. You will start to feel better day by day, but not immediately. Some things will get a little worse before they get better (such as your skin and scalp), but that’s only because your body is reacting to a drastic change. It’s trying to correct itself by getting rid of the toxins. In the interim, it’s important to use OTC products that heal a dry scalp and hair. Your dry scalp and hair will become healthy again. Soon you won’t have any itchiness and dryness, but you will need to weather the storm. Eat healthy foods that are rich in fish oils, drink plenty of water, get 8 hours of sleep, and give your body time to adjust.